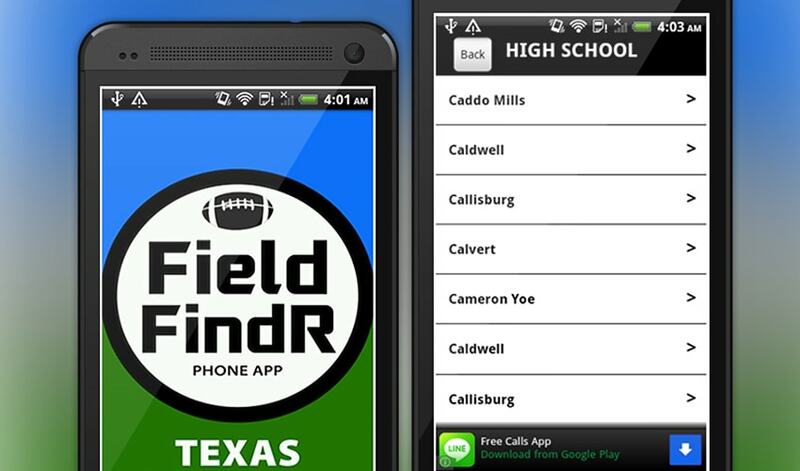 FieldFindR-TX is a comprehensive mobile app that consists of a database for High School, College Football, and Pro football fields within Texas. 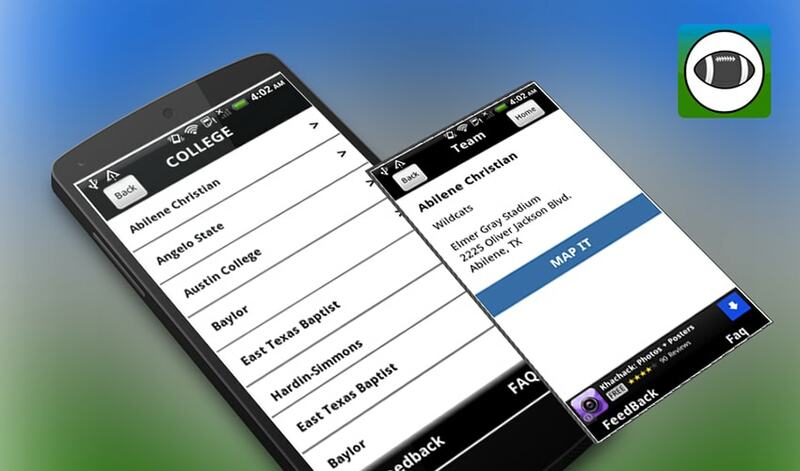 Within the app, the user has the ability to select any team and have the app generate directions from your current location to the chosen football field. Never miss a game!